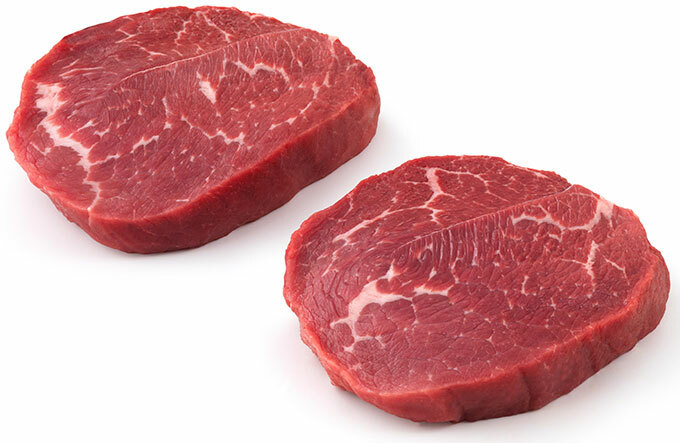 Sirloin Tip Center Steak – Stampede Meat, Inc. This steak is lean, boneless and best when cooked to medium rare (145°F) doneness. This steak also meets government guidelines for lean. Nutrition information per 3-ounce cooked serving: 150 calories; 6 g fat (2 g saturated fat; 2 g monounsaturated fat); 23 g protein; 0.4 mg vitamin B6; 2.8 mcg vitamin B12; 2.1 mg iron; 5.8 mg zinc.